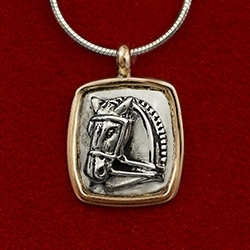 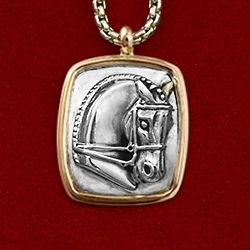 Classic 14K gold trim sterling silver horse head pendant 3/4″ wide by 1″ long. 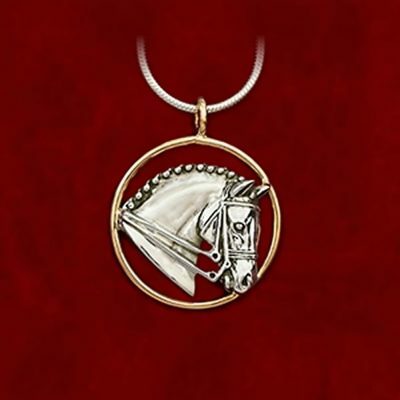 Pendant come on a 16″, 18″ or 20″ sterling snake chain with lobster closure. 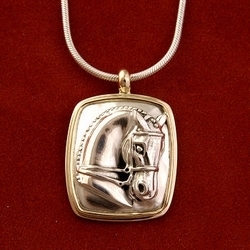 A great two tone look!